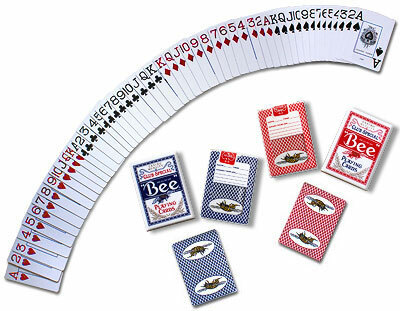 This is the ORIGINAL poker size Bee deck used in the most important and famous Casinos all over the world. The back of the case is transparent, and it is printed with a form to fill in with information, such as the table using that deck, etc... just like in the real casinos. This deck is Jumbo index, and Diamonds and Hearts are printed in a darker red. 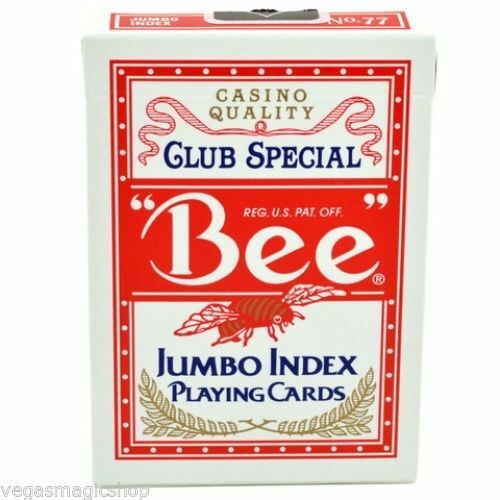 Bee Casino - Poker size Jumbo Index Red This is the ORIGINAL poker size Bee deck used in the most important and famous Casinos all over the world.